Please show me Trash the Dress on the beach inspiration pics!!!! (Closed) please show me Trash the Dress on the beach inspiration pics!!!! I need to some inspiration TTD pics to my photographer. and i would love ideas/inspiration!! i know i love the ones i see where the couple is lying in the sand with the waves crashing around them. i find them really romantic looking. i also want some more fun, splashy pictures….so send some my way if you got any! @Blue-Bird: ooh i like all those! @Blue-Bird: i am not over loaded at all! i love them! @Blue-Bird: they are exactly what i am looking for – fun and romantic! i love all of these!! thanks! Fiance and I are jumping off a pier. 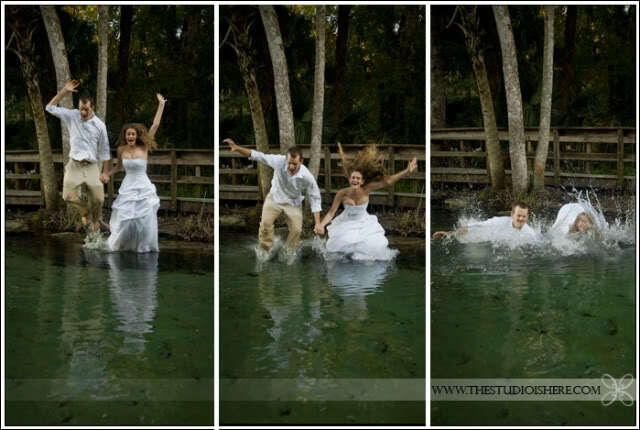 I can’t wait to get that mid-moment-right-before-the-splash shot! Our videographer mentioned getting an underwater housing for the camera equipment to do underwater shots, but those things are expensive!! boo… would’ve been so awesome! this was great – i just sent this link to my photographer and she said she knows exactly what i am looking for and will deliver! thanks again everyone. and please keep adding if you have more. 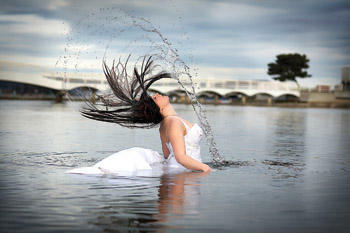 Was looking at trash the dress pictures today, in anticipation of my upcoming TTD shoot in less than a week!!!! I found this site: scroll down down down waaaay down and you’ll find a TON of pics!!!!!!!!!!!!!! @Ayslinn87: those are GREAT! thanks… totally helps me with my post I made just a minute ago! The topic ‘please show me Trash the Dress on the beach inspiration pics!!! !’ is closed to new replies.